Australians love to have pets in their homes. In fact, Australia has one of the world’s highest rates of pet ownership with 36 percent of households owning a dog and 23 percent owning a cat. A study by the Animal Health Alliance showed 63 percent of Australian households own pets with most of them owning dogs and cats. It is estimated that the country currently has 33 million pets. With this reality, the demand for homes including apartments and strata properties that allow pets has been growing in recent years. 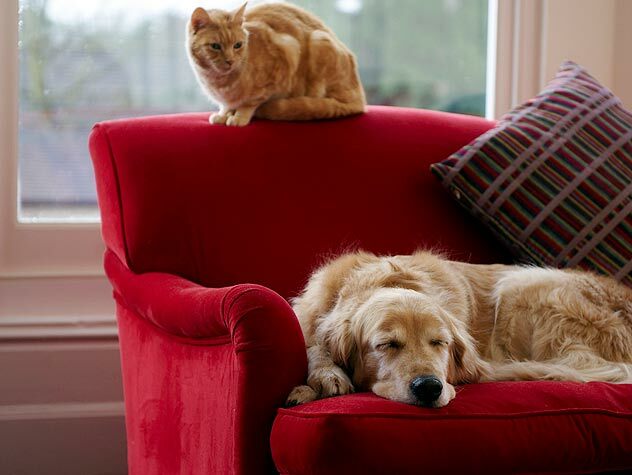 A 2011 survey found that more than 60 percent of tenants choose a rental property that is pet-friendly. This is regardless if they own a pet or not at the time they’re house hunting. Unfortunately, not all rental properties permit tenants to own pets. In Australia, less than 10 percent of rental properties claim to be pet friendly. There’s increased awareness, however, on the part of developers and investors with regards to this increasing demand for apartments that allow pets. Experts are also seeing a rise of this trend particularly among the elderly who may be widowed or separated and are seeking the companionship of animals. Having pets in the home brings a lot of benefits to people regardless of their status. Pets contribute to creating healthy neighbourhoods and they give people a sense of community. Additionally, they encourage interaction between neighbours. Raising pets also teach children responsibility in caring for animals and it gives people the opportunity to be kind. All this then can lead to achieving personal happiness that often results from the expression of kindness. The Petcare Information and Advisory Service (PIAS) also revealed that pet owners normally have lower blood pressure, better mental health and a satisfying home life. Additionally, communities where pets exist have lower crime rates and are often perceived as a friendly area. Sadly there are not many properties which allow pets. The other problem which I faced is that landlords often ask for the premium price for allowing pets. Yes, it’s true. A lot of landlords won’t always allow tenants to have a pet. I’ve had success by having glowing references available for my pet that I can give to the agent to pass onto the landlord. I’ve also managed to escape paying extra to have a pet. On the flipside, as a landlord, I don’t have an issue with my tenants having pets, as long as they look after the home and the pet doesn’t do any damage. I also don’t charge any extra. Given so many of us love our pets, it would be nice for landlords to be more accommodating and not charge for the priviledge. Next post: Are Landlords Ready to Allow Tenants with Pets?